Believe it or not I've always believed myself to be one of the luckiest people on the planet. I have a loving family, doting friendships, and general happiness throughout life. 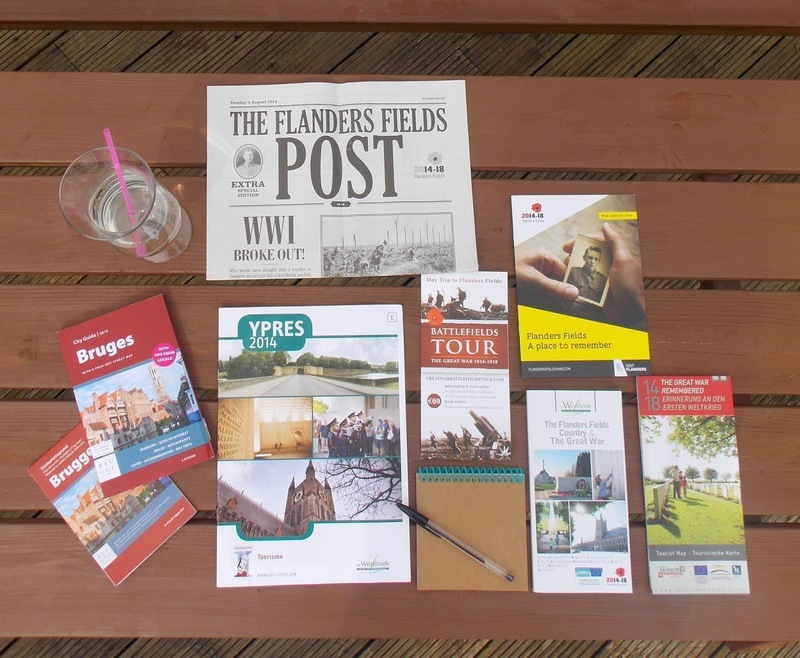 And to top it all off, I've been invited to review the WW1 Commemorative centenary celebrations through the eyes of a disabled visitor, all thanks to Disability Horizons and Visit Flanders. I'm packed, I'm ready, so lets take a quick look at where I'll be visiting! 1. Meet the curator Sophie De Schaepdriiver at the "14-18 the War in Pictures" exhibition. "Exactly 100 years after the German invasion of Bruges, the city is commemorating the Great War with three exhibitions. This global conflict is being shown both within its Bruges context as well as its international framework, from both historical and artistic perspectives. A historical exhibition takes place on the ground floor of the Stadshallen (Town Halls) and on the first floor you can find two photography exhibitions." 2. The Lightfront event in Nieuwpoort"Light Front ’14 will follow the Front Line as it existed at the time of the ceasefire in the autumn of 1914, after the flooding of the plains at the end of October that year. At night, troops from both sides could see each other’s lights along the Front. During the first weekend of GoneWest a light front will be recreated - by 8,750 participants with flaming torches along the stretch of land between Nieuwpoort beach and Ploegsteert. Artistic fire installations will also be set up in the nine municipalities involved, inspired by the historical backdrop of each." "The In Flanders Fields Museum presents the story of the First World War in the West Flanders front region. It is located in the renovated Cloth Halls of Ypres, an important symbol of wartime hardship and later recovery. The completely new permanent exhibition tells the story of the invasion of Belgium and the first months of the mobilisation, the four years trench war in the Westhoek - from the beach of Nieuwpoort to the Leie in Armentières -, the end of the war and the permanent remembrance ever since." 4. Visit the Tyne Cot Cemetery "Tyne Cot Cemetery is the resting place of 11,954 soldiers of the Commonwealth Forces. This is the largest number of burials contained in any Commonwealth cemetery of either the First or Second World War. It is the largest Commonwealth military cemetery in the world." 5. Attend the Last Post Ceremony at the Menin Gate"The Last Post, the traditional final salute to the fallen, is played by the buglers in honour of the memory of the soldiers of the former British Empire and its allies, who died in the Ypres Salient during the First World War." 6. Visit the Lijssenthoek Centre"Lijssenthoek Military Cemetery is the prime witness of more than four years of violent warfare. From 1915 until 1920 the hamlet of Lijssenthoek became the venue for the biggest evacuation hospital in the Ypres Salient. Today the cemetery evokes daily reflections of the Great War. The visitor centre offers you an interpretation of this unique site." 7. Visit the Hop and Beer Museum "An informative audio tour guides you through four floors of history and culture, all the way from the impressive loft to the concluding ground floor. On your way down, local characters like "The Bagger" and "The Nose" will guide you along the four seasons of the hop, historic documents, photographs, scale models and audiovisuals illustrate both the story of this unique building and that of local hop growing, its past and present." We're extremely grateful to Visit Flanders for organising all of this for us and also the hotels too, we're so excited and eager for this trip, so look out for the blog entries next week!